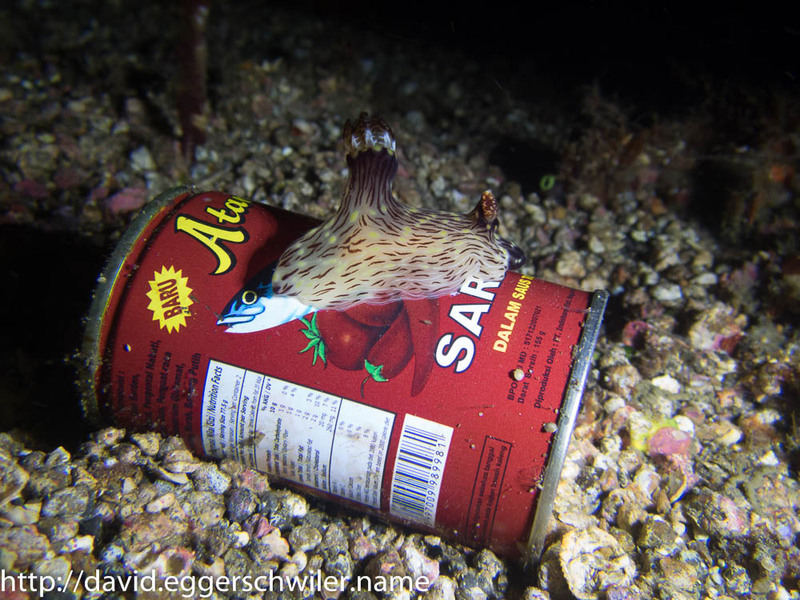 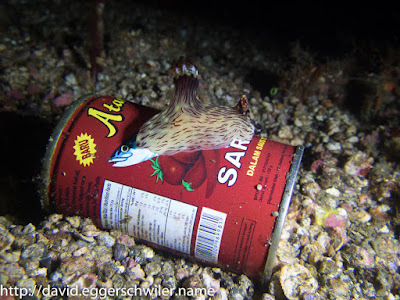 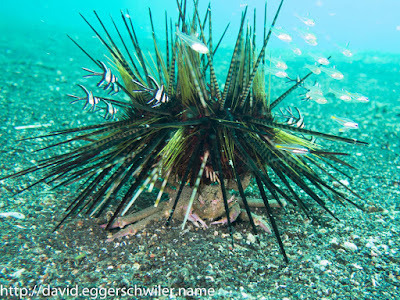 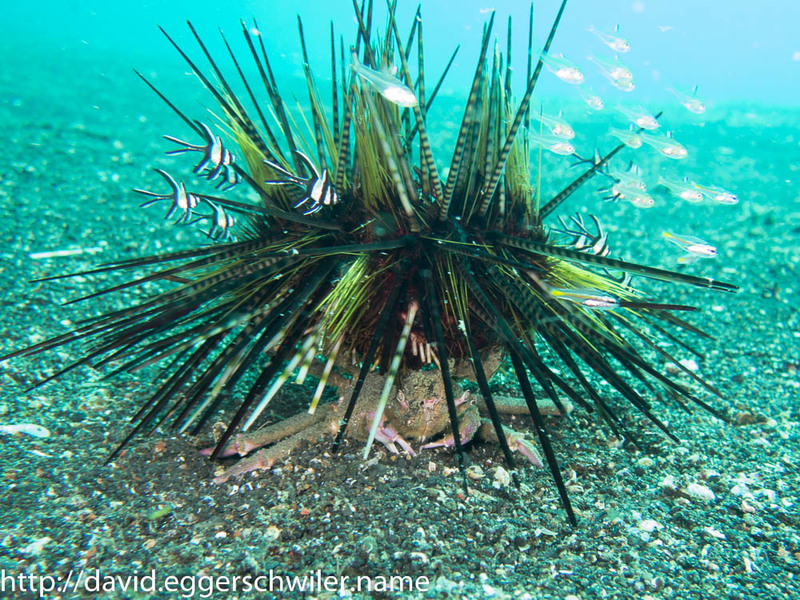 The Ankh-Morpork Times -> Lembeh Strait: Muck Diving at its best! 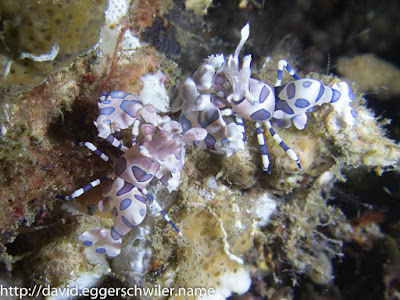 Lembeh Strait: Muck Diving at its best! 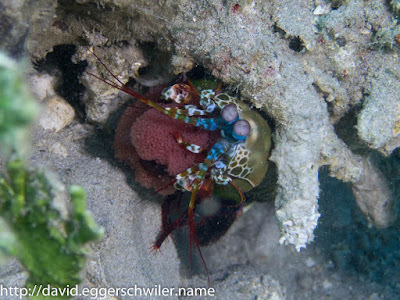 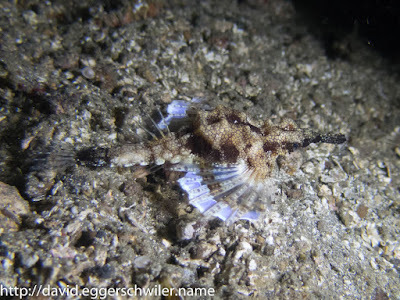 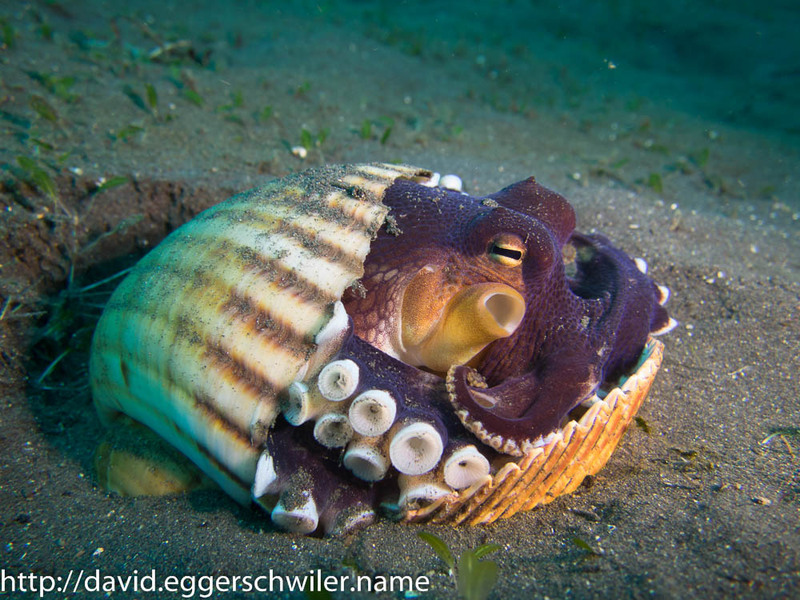 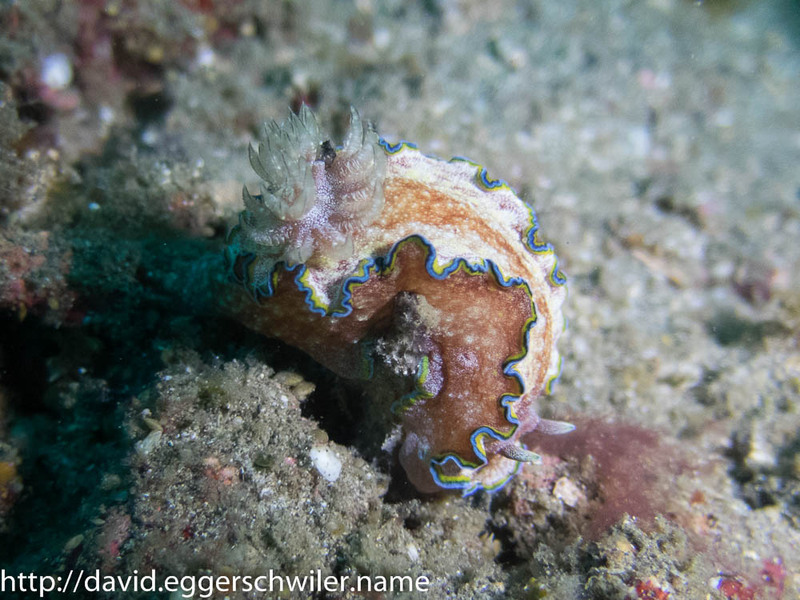 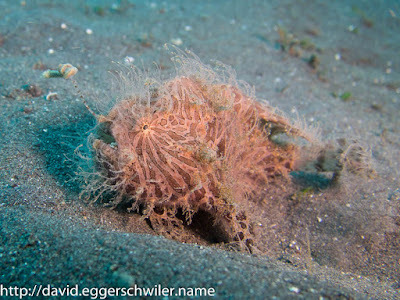 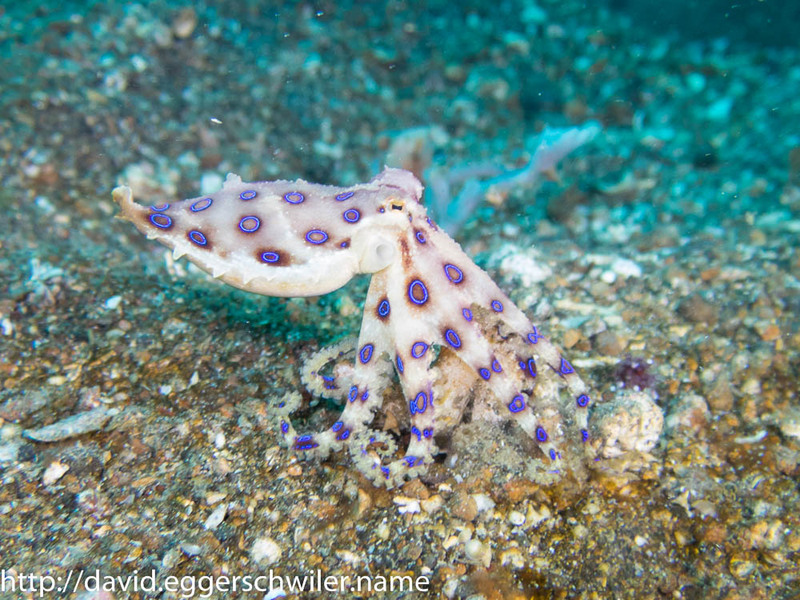 Knowing what was possible to see at Lembeh, I arrived with a short list of creatures I'd like to encounter. 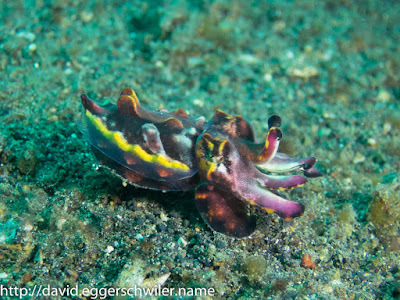 On the very first dive we met two of them: A Flamboyant Cuttlefish and a Hairy Frogfish! A couple of days later we encountered another Hairy Frogfish that wasn't just sitting around, but walking across the sand shaking its lure in hopes of attracting prey. Some creatures were so abundant that we encountered them on most dives. I especially enjoyed seeing the Banggai Cardinalfish over and over again. 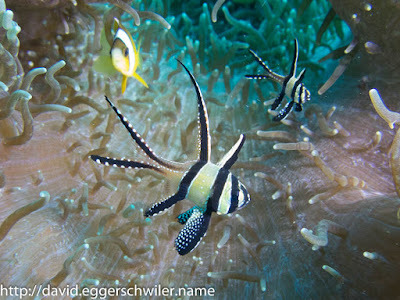 They have such a peculiar shape and had formed a habit of living in Anemones, where strangely enough the Anemonefish tolerate them. 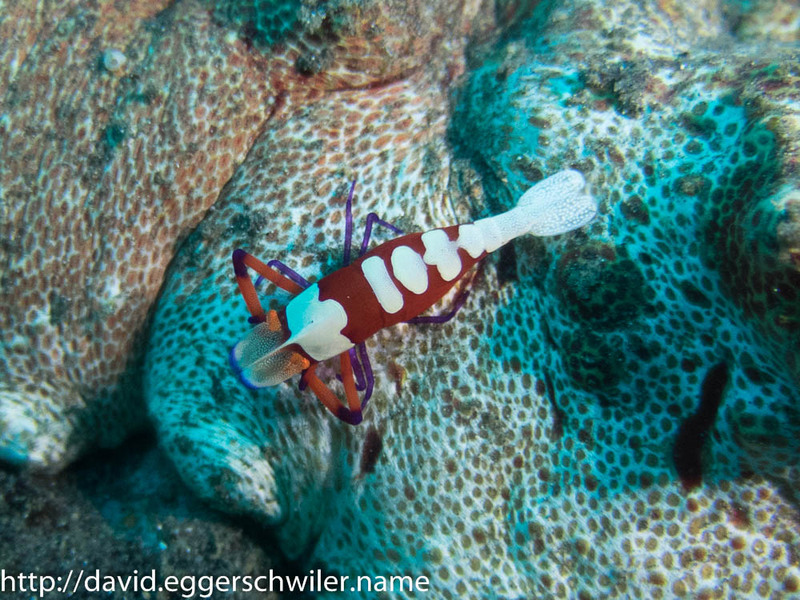 On the other hand, when I got too close to take a picture an Anemonefish bit me in the finger! One fish that I always enjoyed looking at in Fish Identification Guides was the Juvenile Many-Spotted Sweetlips, with its big white dots and it's bright coloring it looked so different from the adults. 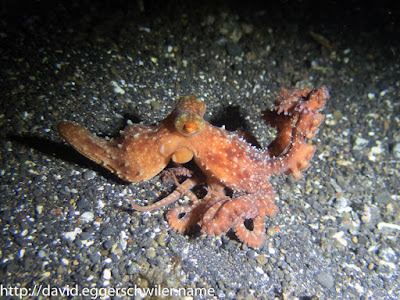 So I was extremely happy to encounter them in all sizes, from tiny (less than 1 centimeter) up to almost adult (15 centimeters). 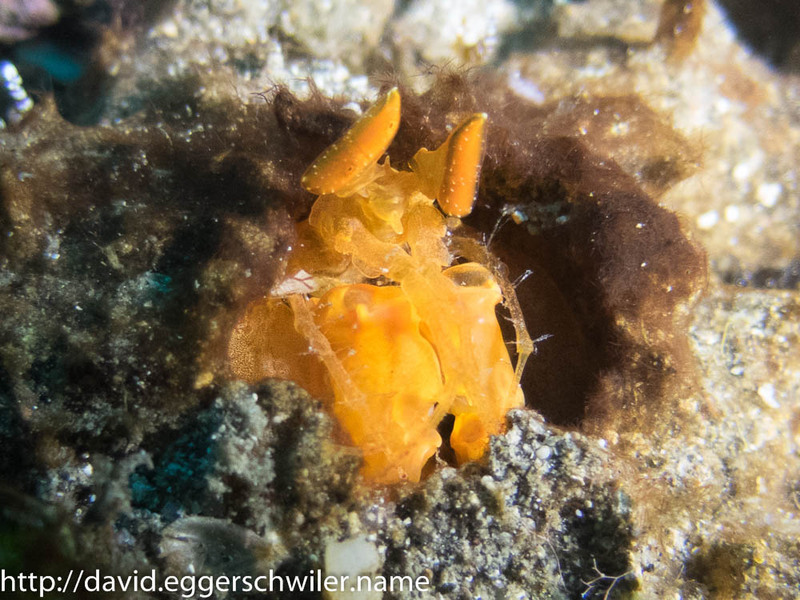 Even though most crabs only came out during the night time, I spotted this strange looking Sea Urchin Carry Crab during an afternoon dive. 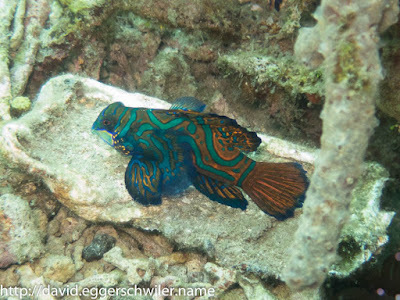 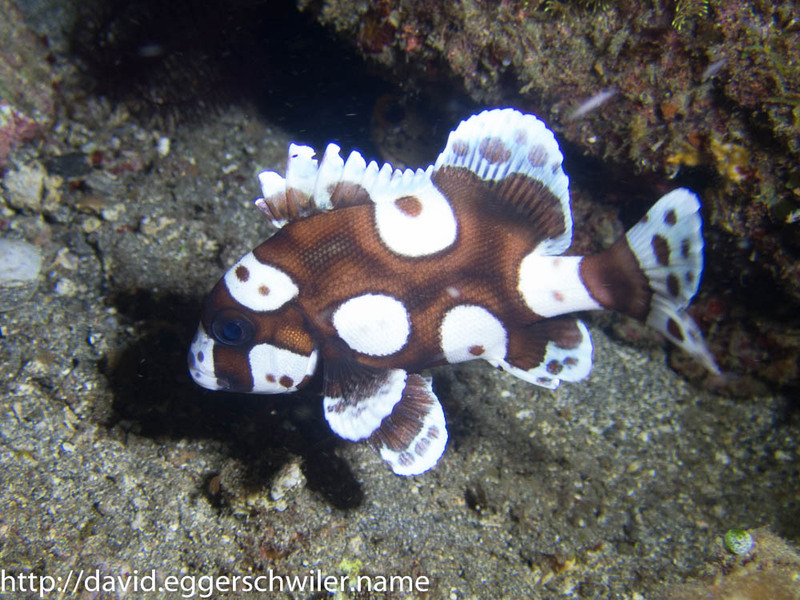 Another instance where we noticed that some critters just were bigger at Lembeh than elsewhere was when we did a dive at Police Pier, where we spotted very big Mandarinfish darting around the reef. 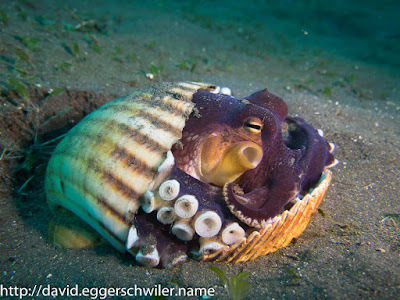 This meant that only one Octopus from my list was still missing. 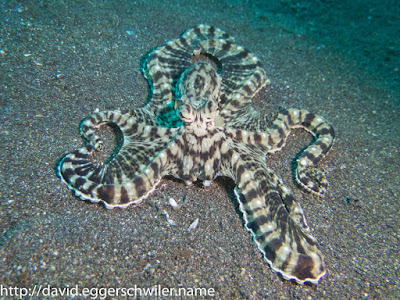 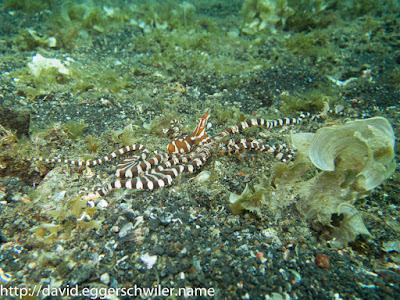 The Mimic Octopus. 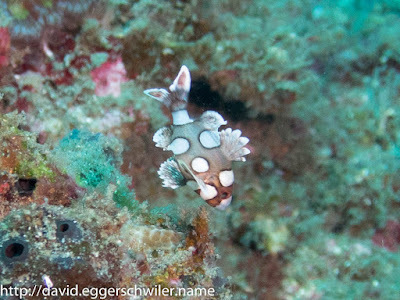 And so we went to a specific dive site to take a look. One of the groups spotted it early in the dive and tried to alert us. 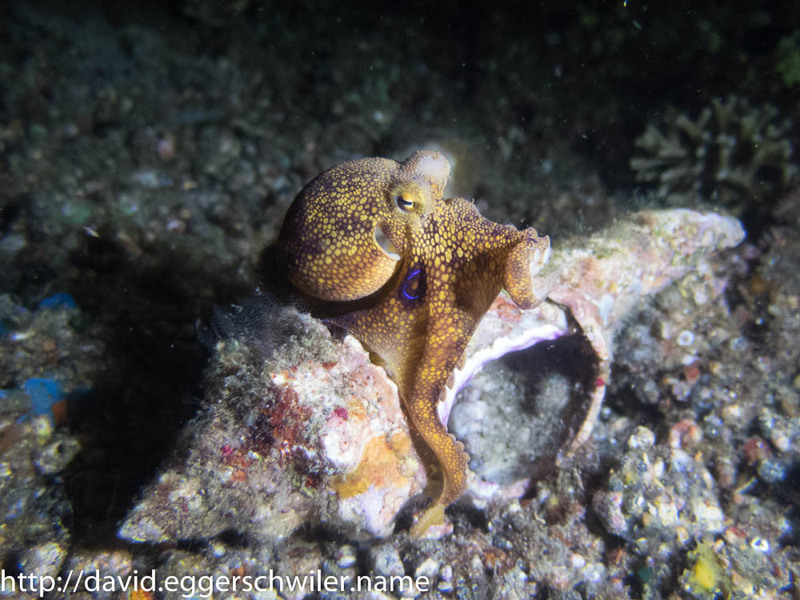 While I heard nothing I noticed our dive guide heading very directly back to where we started the dive and so we also got a good luck. 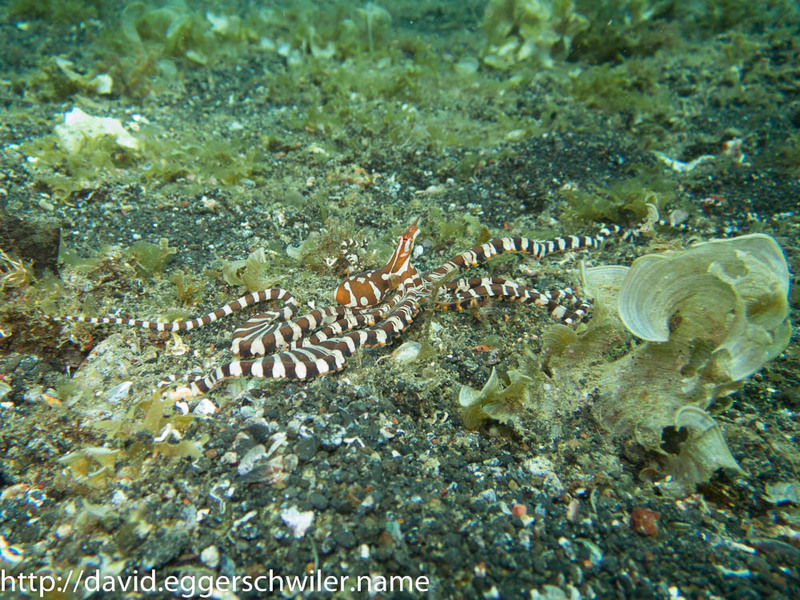 Unfortunately, the Mimic Octopus was in a hurry and so we managed to snap only a few pictures. 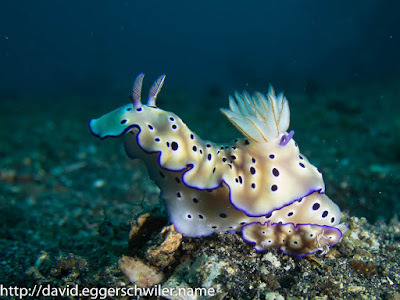 All in all my one-week stay at Lembeh was a phenomenal success and I can highly recommend it to divers who enjoy muck dives (even if it means staring at sand for ten minutes, without seeing anything) and want to see special creatures. If I get back to Indonesia, then I'll definitely try to dive in Lembeh Strait again :).